Custom sublimated socks are about to leave their mark (or footprint) on the promo world and here’s why: they are bright, comfortable, durable, and something that your customers will ALWAYS NEED. Color and design options with custom sublimated socks are UNLIMITED. 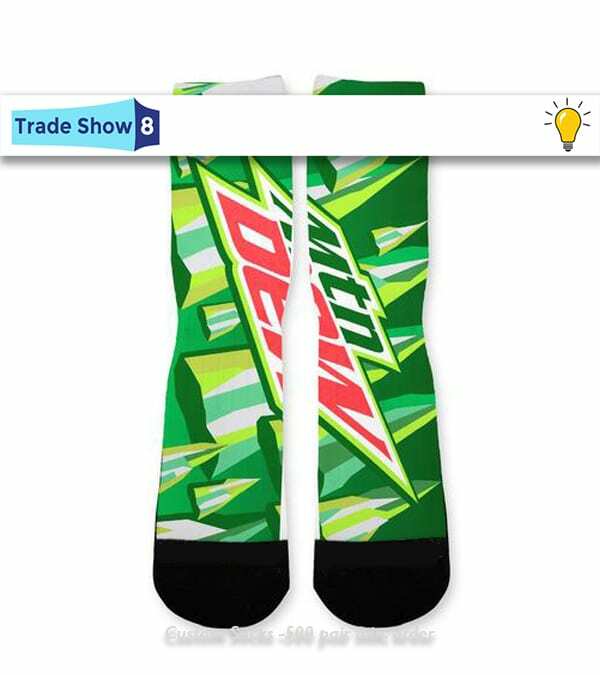 Our entire selection of sublimated socks can be customized according to individualized preferences and specifications of bulk clients. 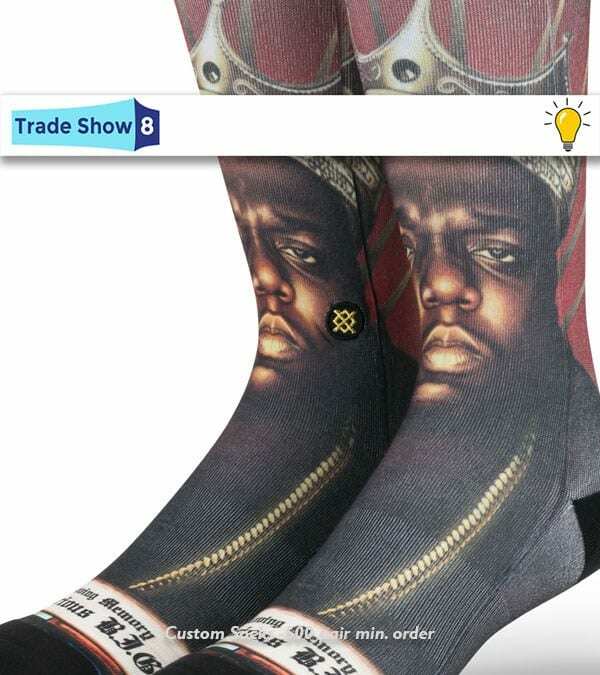 We are constantly trying to introduce new designs and have emerged as the go-to manufacturer of custom-made socks in bulk at wholesale rates. Get your logo on it today! 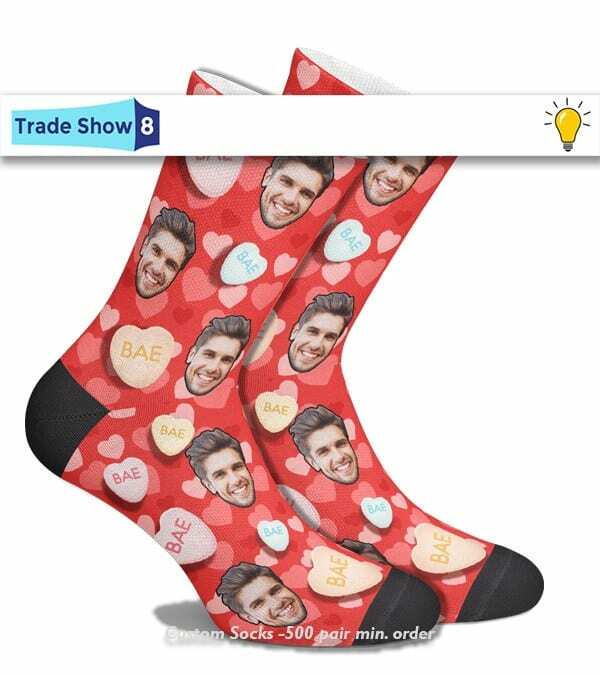 Check out our custom sock style chart to decide which style is best for you then email people@tradeshow8.com or call us toll-free at 1-888-908-6932 to order.